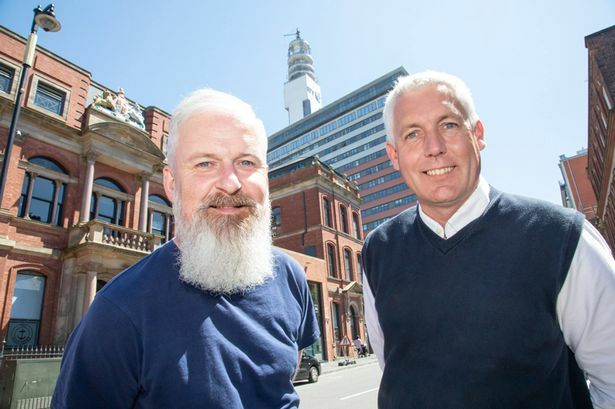 A communication agency has relocated to Birmingham from London after securing a number of new contracts in the West Midlands. Masgroves, which is run by Stuart Thomas and Tony Cosgrove, has moved to a new home in Assay Studios, Newhall Street, as part of a long-term commitment to growing its business in the region. Mr Thomas, who has more than 20 years of experience at HomeServe, Mitsubishi and Tesco, said: "We are delivering an increasing amount of work in the Midlands so it made sense to create a base in the region. "Birmingham is booming. It has all the buzz of London without the congestion and we&apos;re excited to be a part of it. "Add in excellent transport links, connectivity and first-class facilities, we couldn&apos;t see ourselves being anywhere else." Masgroves was established in 2014 and provides internal communication services and training to businesses. Companies on its current client roster include Talbots Law, London Sport and the Soil Association. As part of its move to Birmingham, Masgroves is looking to create a collective of small agencies which can work together to deliver specialist, complimentary services to companies such as recruitment, public relations and executive coaching. Mr Cosgrove added: "We are very excited about the Birmingham base and already have a number of new opportunities in the pipeline. "There&apos;s a lot of focus on the gig economy where smaller, more agile firms are pooling resources to make a much bigger difference. "We want to create something similar here in the West Midlands and will be launching the collaboration shortly. "The region is awash with fantastic talent and we believe we can bring it to the fore by joining forces with other like-minded, but non-competing, firms."